In all circa 922 sqm (10,598 sq ft). Available to rent on the prestigious Wentworth Estate in Virginia Water is this attractive 5 bedroom house. This modern property, boasts accommodation of over 10,000 sq ft and has been well maintained and improved so that it presents as a superb family and entertaining home. The property is located off the much coveted West Drive and has a wonderfully private and secluded position at the head of a long driveway. The property backs in a southerly direction and the principal reception rooms have been positioned at the rear of the house to maximise the light and the outlook over the attractive landscaped gardens. The high quality internal fittings include marble and wood flooring and a superb kitchen/breakfast room which blends seamlessly into the family room and which has a feature glass floor with views down to the swimming pool below. The dramatic staircase leads to the first floor where there are 4 excellent bedroom suites, including the master bedroom with 2 dressing rooms one of which is reached via a spiral staircase which leads up to the large and beautifully fitted out dressing room. The basement is an important feature of the house with its stunning indoor swimming pool and large additional space including games room, cinema and playroom. There is a staff annexe within the basement too. The principal rooms lead out onto a large stone terrace which in turn gives access to the very attractive landscaped gardens which include an expanse of lawn and mature beds, shrubs and specimen trees. To front of the property the triple garage is reached via the long private drive which ensures complete privacy for the property. Approximate internal floor area 922 sqm (10,598 sq ft). Flexibly furnished. ACS Egham 4.1 miles (9 minutes), TASIS 6.6 miles (17 minutes), Sunningdale station 1.5 miles (5 minutes), Central London 25 miles (42 minutes), Heathrow Airport 14.6 miles (25 minutes), Gatwick Airport 40 miles (54 minutes) - All distances and driving times are approximate. Located on the main island of the world renowned Wentworth Estate. Virginia Water offers a good range of day to day facilities with Windsor, Ascot and Staines providing a more extensive range of shopping, recreational and business activities. Communications are excellent with the M3 and M4 close by, giving fast access to London whilst the M25 connects with the national motorway network, as well as Heathrow and Gatwick airports. Rail connections to London Waterloo are available at Egham, Staines and Virginia Water. Schooling is exceptional with many renowned private schools such as Eton College, Papplewick, Sunningdale, St Mary’s, Brigidine, Upton House, Bishopsgate, St George’s and St John’s Beaumont. There are also two highly regarded International/American schools – ACS Egham and TASIS at Thorpe. Excellent sporting and leisure facilities can be found in the local area including many well known local golf courses including Wentworth, Sunningdale and The Royal Berkshire with polo at Smiths Lawn, racing at Ascot and Windsor, horse riding and walking in Windsor Great Park. This property is marketed by Knight Frank - Lettings, Ascot at £25,000 per month. Rightmove has calculated the price per week for comparison purposes only. Property reference 202553. The information displayed about this property comprises a property advertisement. Rightmove.co.uk makes no warranty as to the accuracy or completeness of the advertisement or any linked or associated information, and Rightmove has no control over the content. This property advertisement does not constitute property particulars. 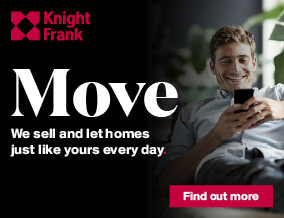 The information is provided and maintained by Knight Frank - Lettings, Ascot.